South Barrington, Illinois. 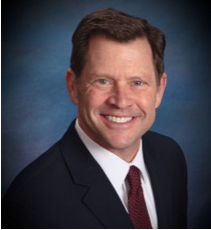 August 4, 2015 – Mooney Lyons, a wealth management firm specializing in retirement income planning, announced today the addition of Ted Buckley, a highly respected Sales and Leadership Executive to the Mooney Lyons team. 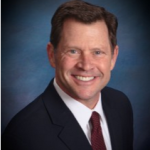 As a recent high level Global Marketing and Sales Director with more than 25 years of industry experience, Ted has identified and pursued strategic opportunities in the field of dental technology, driving company growth as well as personal growth, securing a Board Member position of the Dental Trade Alliance and earning a Certificate of Completion in AMA’s Advanced Course in Strategic Marketing. Ted currently holds his Series 7, stockbroker license, and his Series 66 license as an investment advisor representative. He also holds Illinois health and life insurance producer licenses and is a sought-after motivational speaker and inspiring Life Coach. The Mooney Lyons team is comprised of a dedicated group of professionals with expertise in finance, insurance, investments, and income planning. For more information on any of the financial services Mooney Lyons provides, please contact Jason Randl, Director of Client and Team Services, at 847.382.2600 x224.